Arizona has its car week, a few days later and a couple hundred miles to the northwest, Las Vegas has its vintage motorcycle weekend staging major auctions. 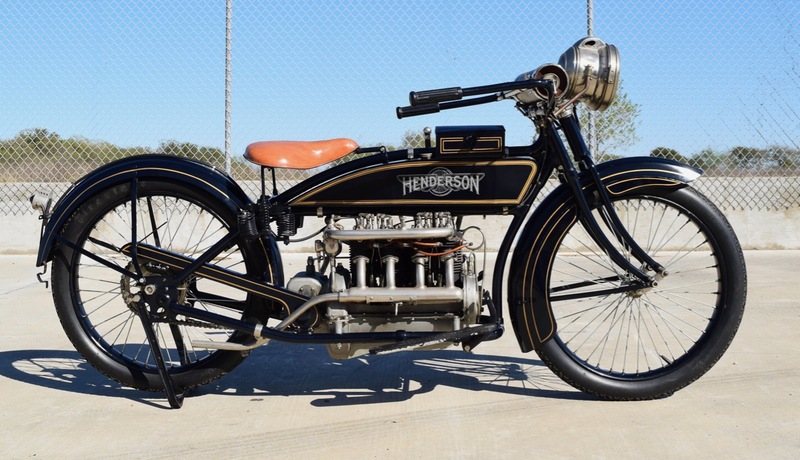 Arizona has its car week, and just a few days later and a couple hundred miles to the northwest, Las Vegas has its vintage motorcycle weekend with Bonhams and Mecum staging major auctions. Mecum Auctions holds its annual Las Vegas Motorcycle Auction at the South Point hotel and casino from January 25-28 while Bonhams’ seventh annual sale in Sin City takes place January 26, this year at a new venue at the Rio hotel and casino. 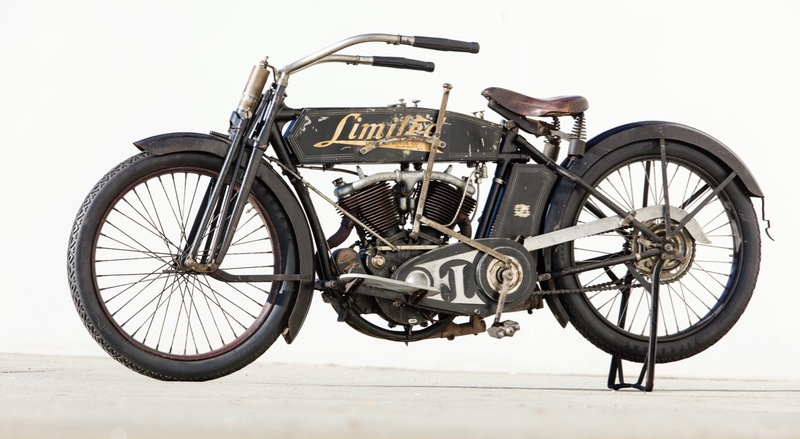 Mecum will offer more than 1,000 antique, vintage and collectible motorcycles at its 26th annual Las Vegas sale, which it notes is the largest such two-wheeler auction in the world. Among them are eight Italian motorcycles owned by rock ’n’ roll and celebrity photographer Guy Webster, whose collection has grown to as many as 400 motorcycles, Mecum noted. Webster’s bikes going to the auction include a 1964 Ducati Twi Cam F-3 racer, a 1957 MV Augusta Squalo Formula racer and a 1956 Ceccato Grand Prix single cam. A major collection based on the East Coast is sending nearly 80 lots to the auction, including two “new in crate” 1992 Harley-Davidson Daytona 50th anniversary machines. The Buddy Stubbs collection is offering two dozen bikes at no reserve. The LaQuay collection is sending more than 60 motorcycles, also at no reserve. Also on the docket are six motorcycles formerly part of Steve McQueen’s collection. 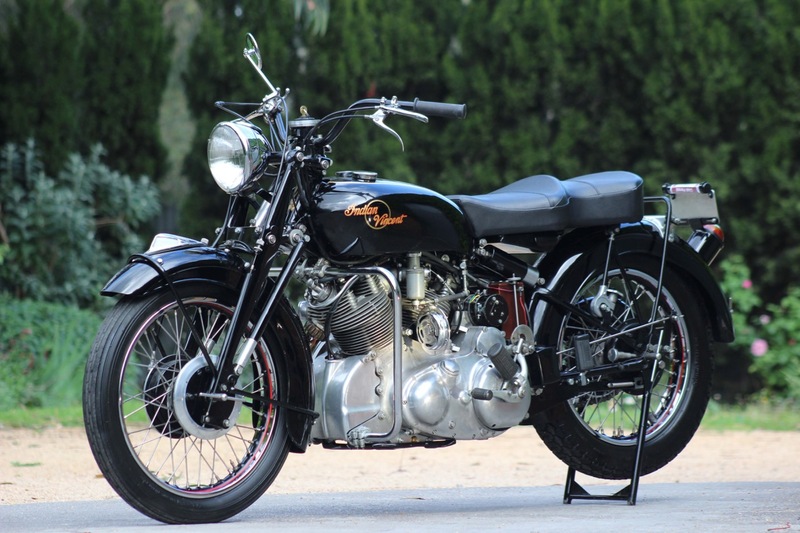 Also on the docket is the one-off 1949 Indian-Vincent factory Anglo-American prototype that was a product of a joint-venture in which Indian, based in Springfield, Massachusetts, and Vincent, of Stevenage, England, planned to offer hybrid bikes in the U.S. market. 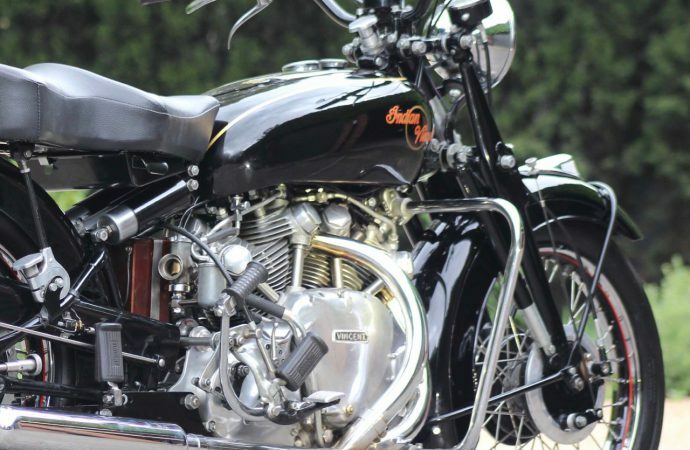 Two prototypes were produced, Bonhams notes, the Vidian, an Indian Chief with a Vincent motor, and the Indian-Vincent, a Vincent Rapide built with some Indian components. Phil Vincent retained the Indian-Vincent after the demise of the American company and took the bike to Australia, where is remained for many years. The bike will be offered for public sale for the first time in Las Vegas and has a pre-auction estimated value of $250,000 to $300,000, according to Bonhams. 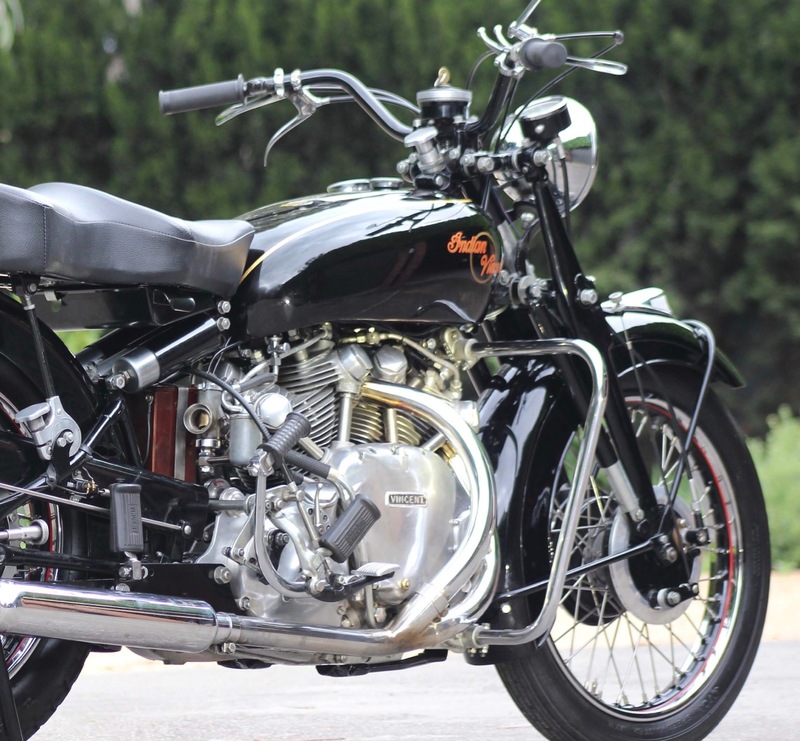 The auction will feature 16 Vincents, and nearly 40 Ducatis. “It’s exciting to have so many examples in one auction,” said Nick Smith, head of Bonhams’ U.S. motorcycle division. “Vincent is one of the most respected and sought after names in the world of collectors’ motorcycles and to have this unprecedented assembly – not to mention being selected to represent the legendary prototype – is just phenomenal. 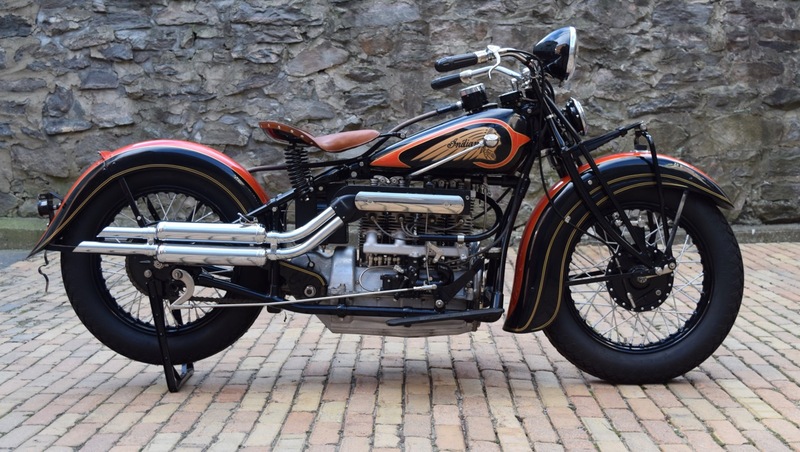 Also being offered is the eighth Crocker built (serial No. 36-61-8). The bike, built in 1936, comes out of Dale Walker’s Wheels Through Time Museum and, Bonhams says, is the lowest numbered Crocker to be offered at public auction. Five other bikes from the museum’s collection also are headed to the sale, four pre-war Harley-Davidson’s and a 1914 Excelsior Model 7C.